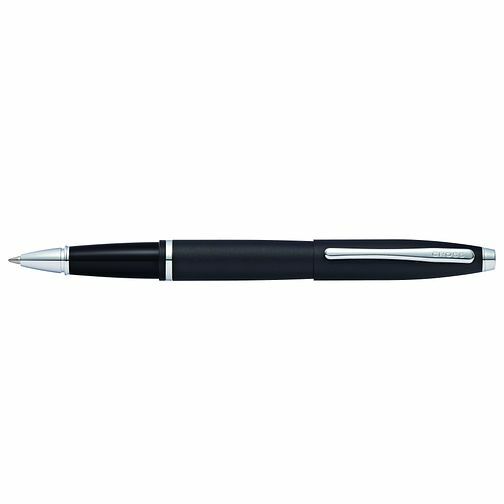 Cross offer simple, elegant design with this rollerball pen. Finished with matte black and chrome detailing, this pen is a pocket or handbag essential. Cross Calais Matte Black Rollerball Pen is rated 5.0 out of 5 by 1. Rated 5 out of 5 by Anonymous from Excellent writing quality This was a gift for my husband and he is really pleased with it. He says it’s a really smooth rollerball and writing with it is really nice. The Matt black finish is nice and modern.